It’s been the buzz of the heavy equipment industry since it was announced in August 2016: Ritchie Bros. Auctioneers made the decision to acquire another big player in industrial equipment auctions, IronPlanet. This news took the equipment world by storm, especially after the previous Ritchie Bros. announcement at the beginning of the month that they would be buying Petrowsky Auctioneers. The IronPlanet purchase valuation came in at a staggering $758.5 million. 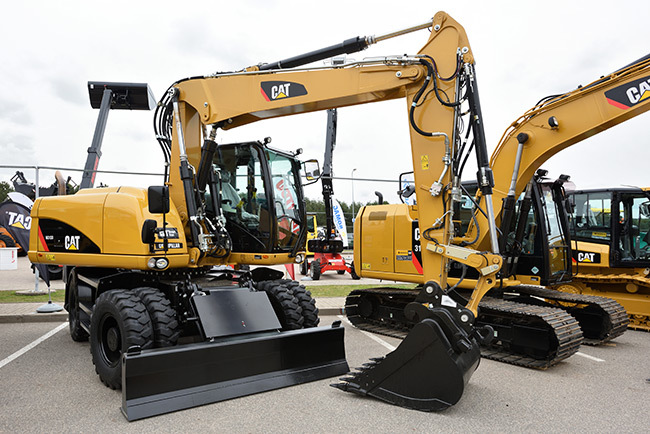 Needless to say, this deal will have a large-scale impact on heavy equipment auctions and the construction industry as a whole. Ritchie Bros. has been a major player in equipment auctions for decades. Founded in 1958 in British Columbia, Canada, the industrial auctioneer has headquarters in Canada, the United States, and Europe. The auction magnate also spans across continents, with auction sites in Asia, Australia, the Middle East, and North America and over 1,000 full-time employees. IronPlanet, in contrast, is a completely online auction platform that buyers and sellers can utilize for used heavy equipment sales. The company was created in 1999 and has seen a rapid rate of growth and a user-base nearing 2 million. IronPlanet also has a successful track record of mergers in its history. In 2015, they combined forces with Cat Auction Services. This merger benefited both IronPlanet and Caterpillar, allowing for both on-site sales and online bidding. The combination of Ritchie Bros. and IronPlanet is expected to have various benefits for both corporations. IronPlanet brings with it new sales platforms that may be better for international sales for the former. Also intrinsic with the deal is the relationship with Caterpillar; Ritchie Bros. is now set to be Caterpillar’s #1 international partner in both online and on-site auctions with the installation of the acquisition. Now that the deal has been approved by the U.S. Department of Justice’s Antitrust Division and completed successfully by Ritchie Bros., the plans for company operation for the corporate merger have been made public. Asset management and operations will be combined. Executive leadership at IronPlanet will remain in place and report to Ritchie Bros. CEO Ravi Saligram. Other plans include combining the companies’ sales teams and optimizing integration by the 2018 sales year. Both companies intend to keep their headquarters’ locations operational. The heavy equipment rental and construction industries have a lot to look forward to by way of a strategic union of IronPlanet and Ritchie Bros. Things to look for include vast technological innovation provided by the former and impressive financial backing and customer service from the latter. We can expect to see an optimized way to sell and purchase equipment for businesses of all sizes, both on-site and online.